A Disgruntled Republican in Nashville: What's on the 7/17/18 Council agenda: Effort to trample property rights and kill planned affordable housing resurrects, and regs and taxes of scooters. What's on the 7/17/18 Council agenda: Effort to trample property rights and kill planned affordable housing resurrects, and regs and taxes of scooters. trample private property rights and kill an affordable housing development while doing so. This bill would cancel an approved Planned Unit Development and down zoning a persons property without their consent. This effort to pass this bill has been pending since June of 2016 If was first pushed by Karen Johnson and is now being taken up by Councilman Bedne. 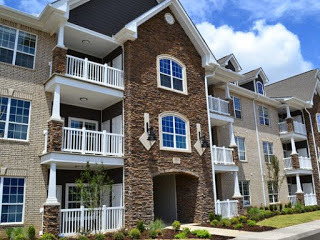 If this bill passes the State of Tennessee has threatened to withhold future tax credits used to help finance affordable housing developments. I don't know why this development has not already occurred. I can guess that with the threat of this hanging over the head of the developer, that it impacted the financing. Should this bill pass and the owner want to continue the fight, he probably has a winnable lawsuit to pursue. This would most likely be considered a "taking" of property. When government takes property the owner should be compensated and it should only be taken for a public purpose. Government taking of property does not have to mean taking title. To take away a right that one previously enjoyed may be a "taking" of property. This is a bill disapproved by the Planning Commission and will require 27 votes to pass. For more on this story see this link and this. The Metro Council will meet Tuesday, July 17, 2018 at 6:30 PM in the Council chamber at the Metro Courthouse. Here is a link to the Council agenda and the staff analysis for those who want to watch the Council meeting and follow along. Below is a summary of what is on the agenda. Elections and Confirmation: There are 6 mayoral appointments to Boards and Commission before the Council for confirmation. Usually, these are confirmed without controversy, discussion or dissension. Public Comment Period: This is new for Nashville. Time is dedicated to allow members of the public who have registered in advance to speak upon matters related to the Metropolitan Nashville and Davidson County community. The only public comments we have had heretofore have been on zoning matters and once a year on the budget. We have never had an open comment policy. This is common in smaller cities and I don't know how common it is in other cities the size of Nashville. I suspect liberal activist will use this platform a lot. I hope conservatives will also. Unfortunately, liberals seem to be much more engaged in advancing a big-government, liberal agenda than are conservatives in advancing a conservative agenda. I also expect to hear from a lot of people talking about pot holes, and stray animal, and the quality of trash pickup. I hope this does not make Council meetings a lot longer. Resolutions: There is one resolution on pubic hearing exempting Jefferson Street Cafe from the minimum distance requirements for obtaining a beer permit and there are 25 other resolution on the agenda. Initially all resolutions except a resolution on public hearing are on the consent agenda. A resolution stays on the consent agenda if it passes unanimously the committees to which it is assigned. Resolutions which receive negative votes in committee are pulled off of consent. Also any councilman may have a resolution pulled off of consent. Those remaining on consent are lumped together and passed by a single vote. Resolutions on the consent agenda are usually not controversial and tend to be routine matters, such as accepting grants from the Federal or State Government, entering into inter-agency agreements over mundane things, appropriating money from the 4% fund, settling lawsuits, or approving signs overhanging the sidewalk. This agenda has a resolution approving a PILOT (payment in lieu of taxes) deal to build affordable housing, a resolution to expand a foreign trade zone and a resolution to fund the Big Band daces in Centennial Park. I don't expect any of these to be controversial. They will likely pass on consent. Unlike a bill which requires three votes of the Council to pass, a resolution only requires one vote of the Council. Here is a resolution of interest. Resolution RS2018-1309 request that the investment committee of the Metropolitan Employee Benefit Board divest funds invested with entities engaged in the operation of private prisons. I oppose this. Private prisons have become a liberal target but they save cities and states money and are usually safer and better managed than government prisons. CoreCivic, formerly Corrections Corporation of America is a Nashville-based national private prison company. Memorializing resolutions express an opinion of the Council, are not signed by the mayor and have no force in law. However, since the Council is in a position to take stronger action if they wish, this may have real impact. The council could direct the investment committee to do this instead of asking. This carries more weight than when the Council opines on a national or state issue This should be defeated, but I ddon't know that anyone will choose to take a stand on this. Bills on First reading: There are only nine bills on first reading. First reading is a formality that gets bills on the agenda and they are not considered by committee until after they pass first reading. They are all lumped together and pass by a single vote except in rare circumstances. I don't read them until they get to second reading. Bills on Second Reading: The only bills of interest are three bills that were previously on Second Reading and deferred to this meeting. Bill BL2018-1200 would require that if hotels or roominghouses accept cash payment, they must also accept at least one other form of payment such as check or credit cards. I seldom carry cash and would find it inconvenient if I tried to do business with an entity that was cash-only, but why not let the market work this out? Why must the government try to micromanage every aspect of commerce and our lives? arrival of Bird Scooter here in Nashville. It would require new fees including a fee of $35 per scooter. It seems to be the policy that everything must be taxed and regulated. This does a lot in addition to a money grab, but if Bird can live with it and is not fighting it, then I would assume it is an OK bill. 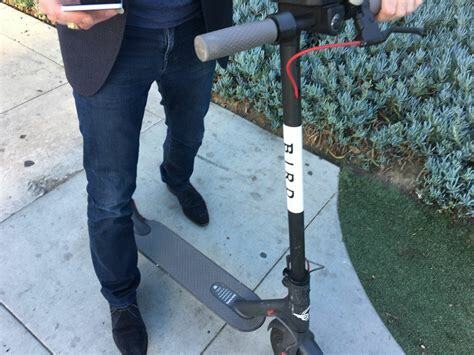 Bird and similar scooter companies are in lots of other cities. I hope we are not over regulating them. Something like Bird can be an important part of making our city more mobile and can take cars off the road. Some cities have welcomed scooters and merchants have installed scooter racks. I wish Nashville was less hostile to innovation and private enterprise. Bill BL2018-1203 also deals with scooters, in-line skates, and roller skates by removing the requirement for wrist guards, elbow pads, and kneepads and updating audio device references. It redefines the word "scooter" to mean non-motorized scooters, so this section would not apply to the electric Bird scooters.They would be regulated by the regulations contained in 1202 above. Bill BL2018-1099 is a disapproved zoning bill in Scot Davis' district. Bill BL2018-1182, a disapproved zoning bill in Karen Johnson's district. To watch the Council meeting, you can go to the courthouse and watch the meeting in person or you can watch the broadcast live at Metro Nashville Network's Government TV on Nashville's Comcast Channel 3 and AT&T's U-verse 99 and it is streamed live at the Metro Nashville Network's livestream site and you can watch it live on Roku. You can catch the meeting the next day (or the day after the next) on the Metro YouTube channel. If can stand the suspense and just wait, I will post the video on this blog the day after or the day after that and provide commentary.